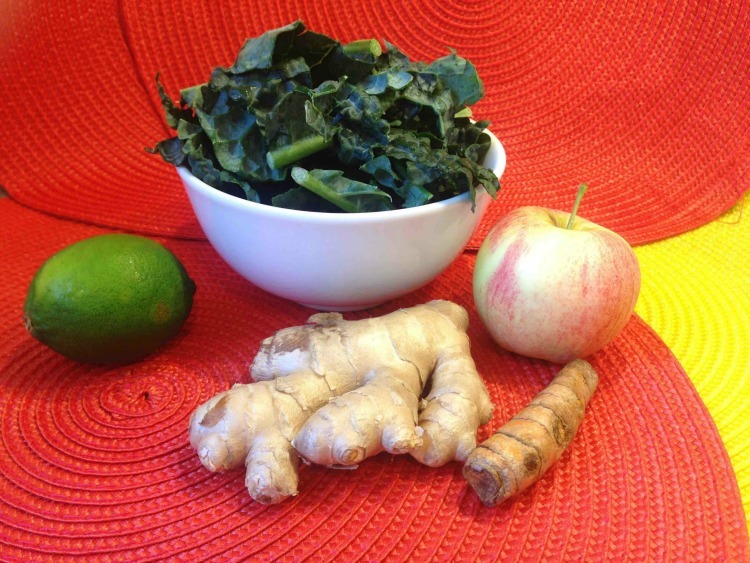 Try this tasty immune boosting smoothie to help you stay healthy all year long! During cold and flu season, daily exercise and good sleep are essential! Boosting nutrient-dense whole foods with concentrated antioxidants and phytochemicals, like turmeric, ginger, and lime can also help keep your immune system functioning at its best! I often cook with kale, but if it’s about to expire, I’ll put it back in the original bag it came in and store it in the freezer to add to smoothies later. 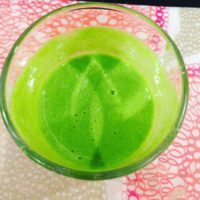 I make this green smoothie on nights I don’t want to cook and usually serve it with something small, like an apple with peanut butter, a slice of toast with pesto, or some cottage cheese. Juice the ginger and turmeric root. Add juice and all remaining ingredients to a blender and puree until smooth.